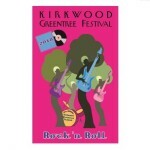 Come to Kirkwood, Missouri – aka the Greentree City – this month for two of its annual hallmark events. The first is the Greentree Festival on September 14-16. This 3-day festival features delicious food, art and craft booths showcasing the work of gifted artists, some of the best music bands the St. Louis area has to offer, and much more. There is literally something for everyone at the Greentree Festival. 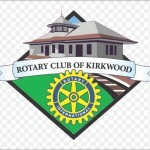 The second event is the Kirkwood Rotary Ramble on September 22. The Ramble, a 5K & 10K run/walk through the tree-lined streets of Kirkwood, is a festive and fun-filled way to burn off extra calories from the prior week’s festival while doing good for the community. All proceeds from the Ramble, put on by the Kirkwood Rotary Club, are given to local charities and community services. The National Security Agency has asked Brookings Executive Education (BEE) to provide instruction on conflict resolution to executives at NSA Headquarters, Fort Meade, MD. BEE’s goal is to support the men and women who serve our country with cutting-edge leadership courses, either at the Brookings facility in Washington, DC, or onsite at the requesting agency. The BEE instructor retained for this purpose is Paul Paese, of PMC. Paul will teach “Strategies for Conflict Resolution” at Fort Meade later this month, and again in 2019. Paul is excited to have the opportunity to work with the distinguished executives at NSA. Brookings Executive Education (BEE) has invited Paul Paese, of PMC, to teach open enrollment and outreach courses on conflict resolution in 2018. BEE is a partnership of the Brookings Institution in Washington, DC and Olin Business School at Washington University in St. Louis. 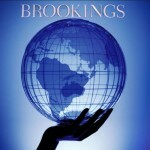 The Brookings Institution and Washington University share a common benefactor and visionary in Robert S. Brookings. The mission of BEE is to deliver on Robert Brookings’ desire to “teach the art of handling problems rather than simply impart accumulated knowledge” to those in and engaged with government. Paul will be teaching “Strategies for Conflict Resolution” as an open enrollment offering this month at the Brookings facility in DC. 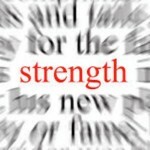 Leaders need strength to be successful. While this obvious truth is widely recognized, opinions differ on what constitutes “strength.” In the eyes of many, strength means standing firm, winning your position, exuding confidence, and minimizing vulnerability. At PMC, our clients are often surprised to hear that we see vulnerability as a key source of leadership strength. Which is stronger, a leader who advocates a position and stands firm until others bend? Or a leader who advocates a position while remaining open to different views, even inviting challenge from others? Leaders who take the path of openness will naturally feel vulnerable. Paradoxically, this vulnerability is not a sign of weakness, but rather a clear indication of leadership strength.